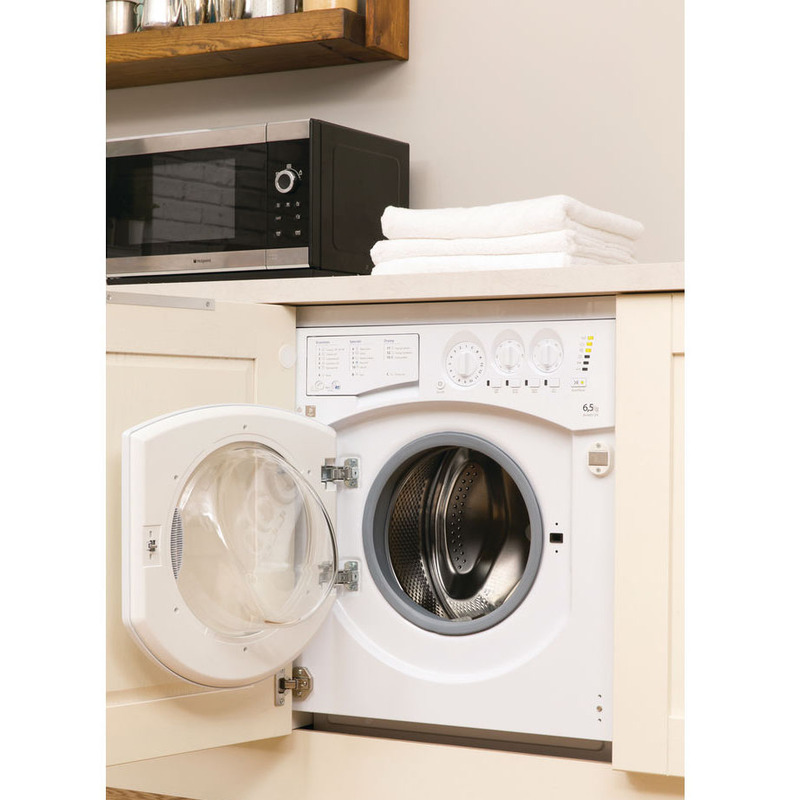 This Hotpoint Integrated Washer Dryer boasts a 6.5kg wash capacity washing machine, with the bonus of a 5kg drying capacity to eliminate the need for a clothes horse or ever having dripping washing! 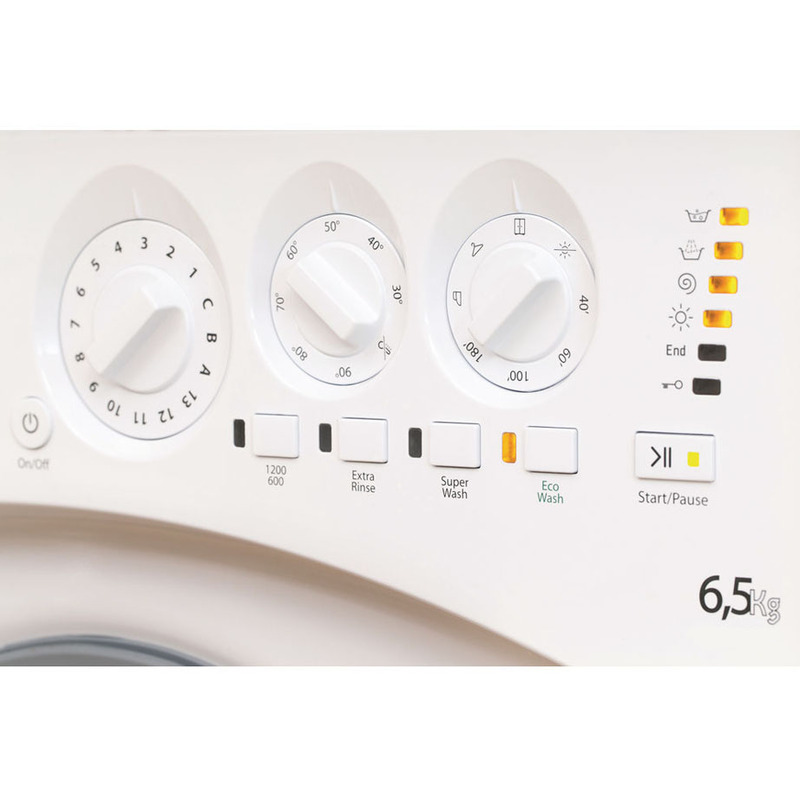 Featuring an impressive 16 programmes and a variable temperature function, you will be able to wash woollens, shirts, baby clothes, silks and heavily-soiled garments with equal precision with this machine. Using sensors to monitor moisture and temperature levels inside the dryer, Set and Forget stops the cycle when your laundry is dry. Convenient for you and kinder to the planet, Set and Forget ensures your clothes are kept in tip-top condition with absolute energy efficiency. A wash and rinse cycle so effective it removes 99.9% of major allergens, and has been awarded the Allergy UK Seal of Approval. Woolmark Platinum Care is a delicate wash program which uses extra gentle drum actions and low spin speeds to reduce the friction between delicate fibres keeping them premium for longer. Thanks to the fully-programmable functionality, operation of this machine is simple and washing can be set for when is most convenient for you. The modern LED digital display is clear and easy to read and the spin stability offered by the this Hotpoint means you can get on with other things without being disturbed by the washing machine. 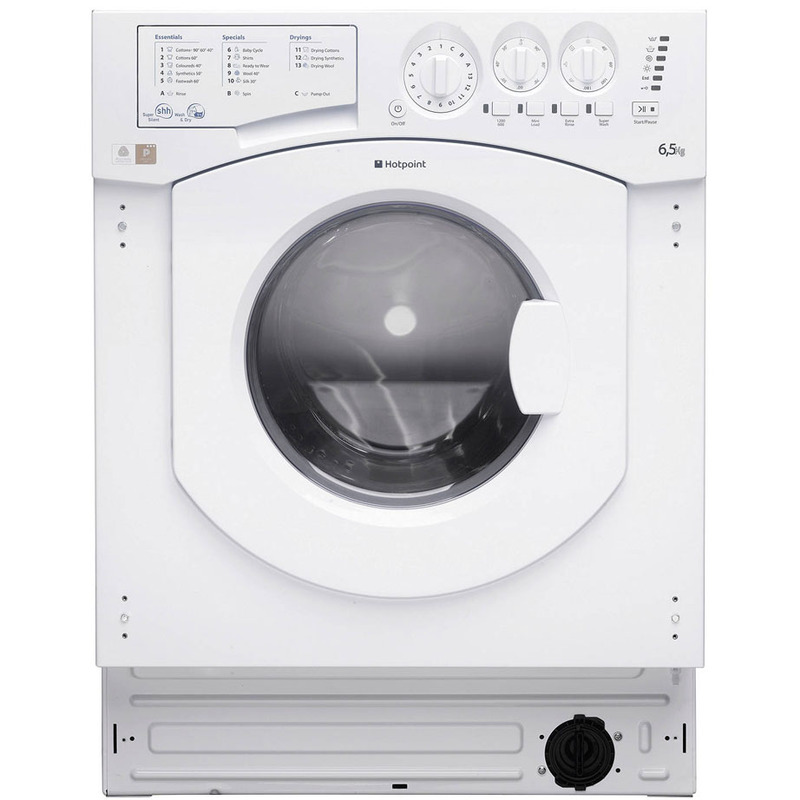 Additionally, rated A in terms of wash-efficiency and B in terms of energy efficiency, this Hotpoint is an ecologically sound washer dryer. It also boasts an eco-mode and half load function which makes it an attractive option for the environmentally concious. For an all-in-one washing and drying option, the fashionable built-in Hotpoint Aquarius Integrated Washer Dryer is a worthwhile investment.